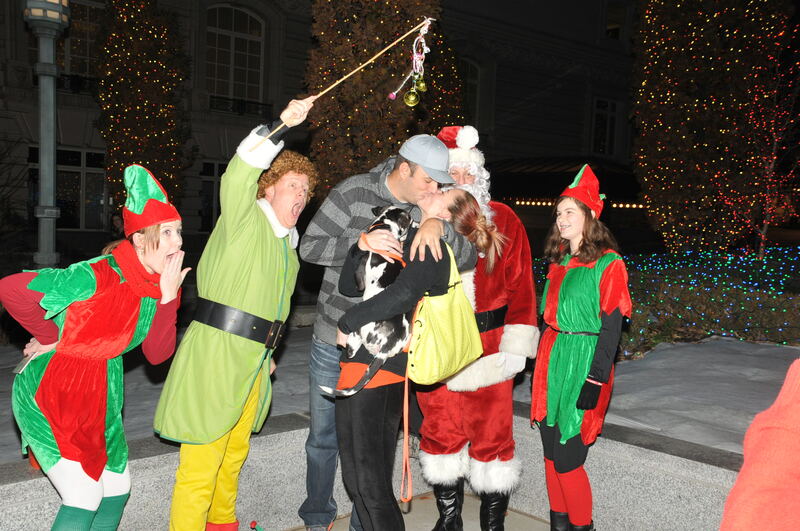 We have to admit, Christmas is our favorite time of year. 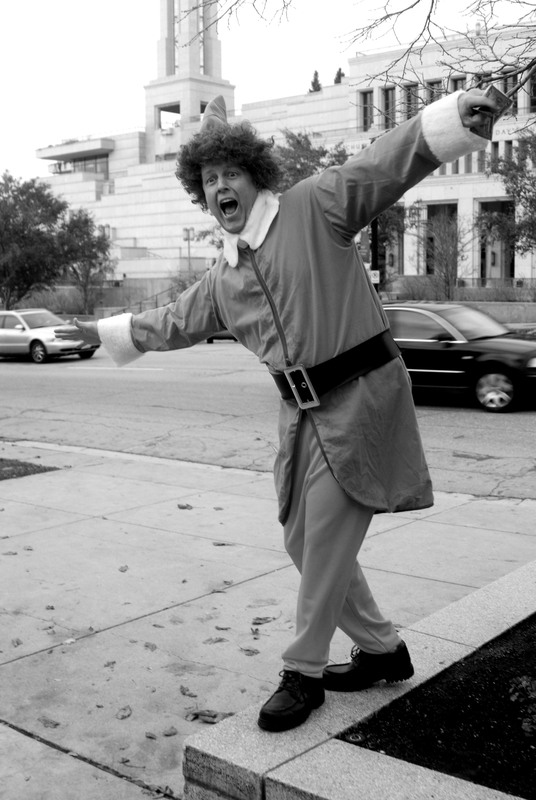 It allows us to spread joy throughout the state of Utah (Buddy and Santa love it here, especially at Christmastime) in ways that might not be completely acceptable any other time of the year. 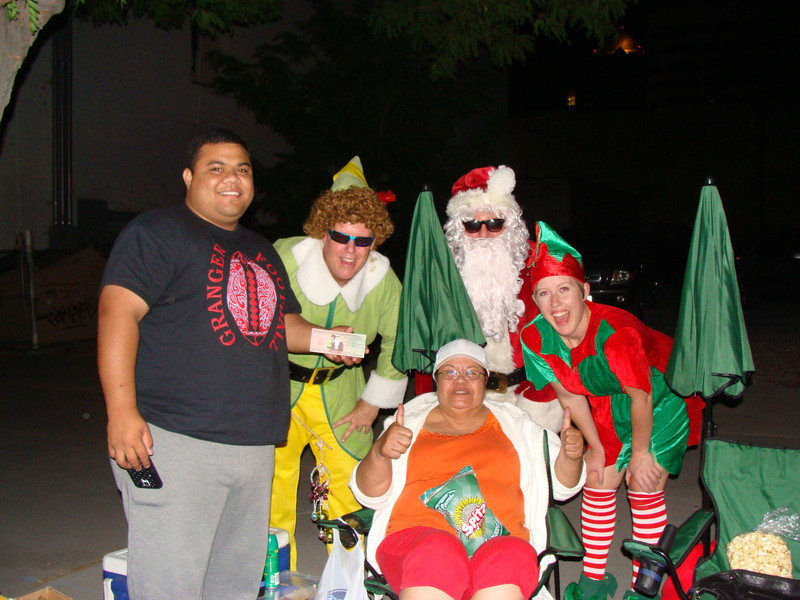 (People walking around in Christmas attire in March are generally frowned upon and the police could be called in to intervene!) 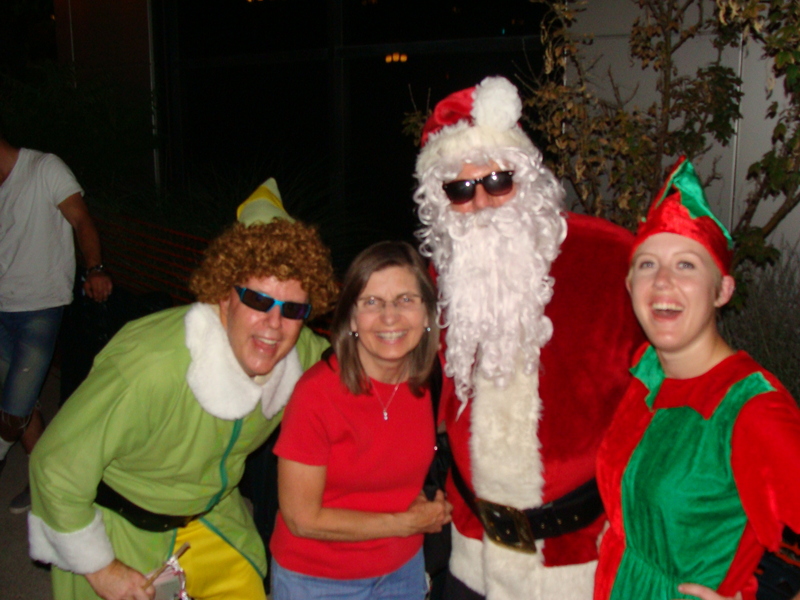 Bel0w are pictures of our visitors who had a twinkle in their eyes (just like Old Saint Nick). Out comes the mistle toe and isn’t it just magical! 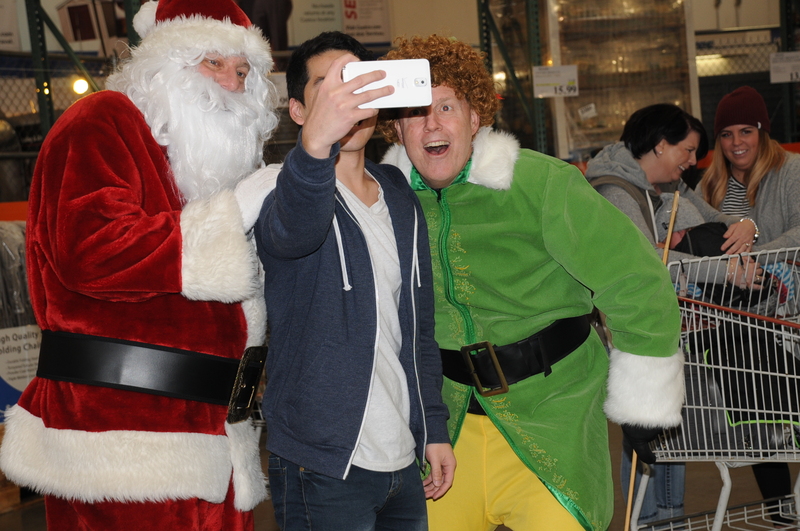 Sometimes people like to take “Elfie Selfies,” as we did here in 2015 at a local Costco. 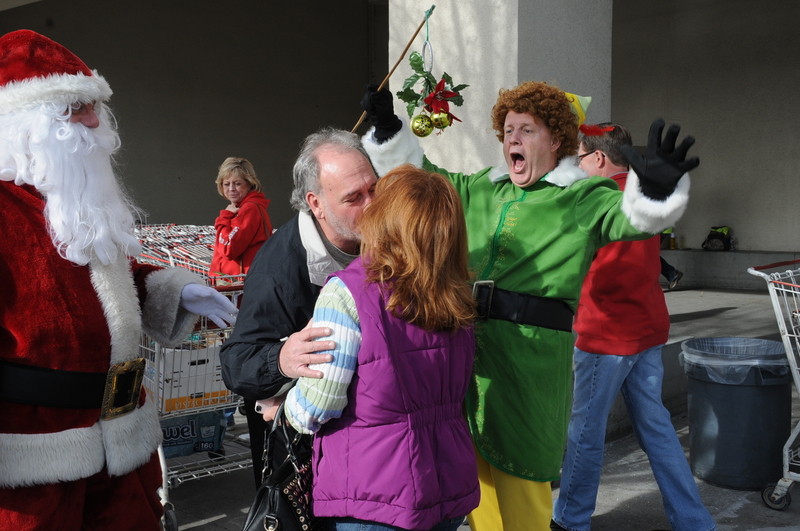 People love it when they see Buddy and Santa shopping for groceries. Why, you can’t get maple syrup at the North Pole, and the Costco size is just about right! 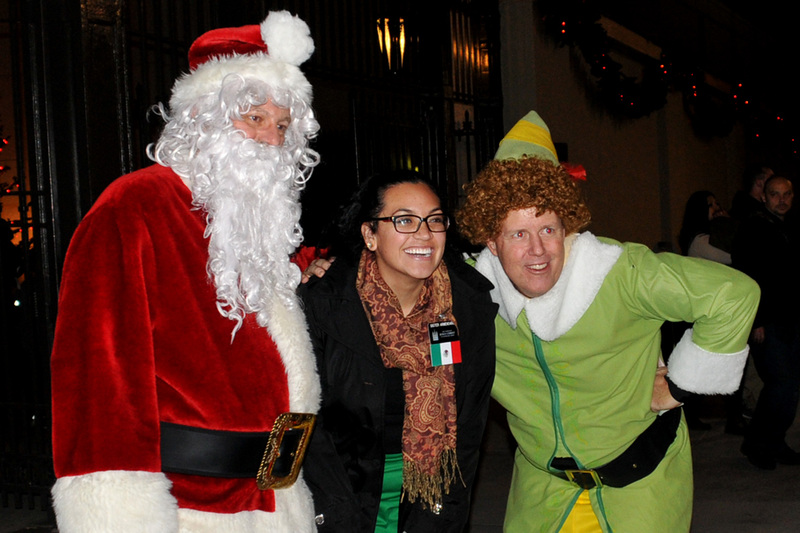 Missionaries love to chat with Buddy and Santa. And Santa always tells them that he has a special present for them: They get to call home on Christmas and talk to their moms as long as they want! Why, they love us! 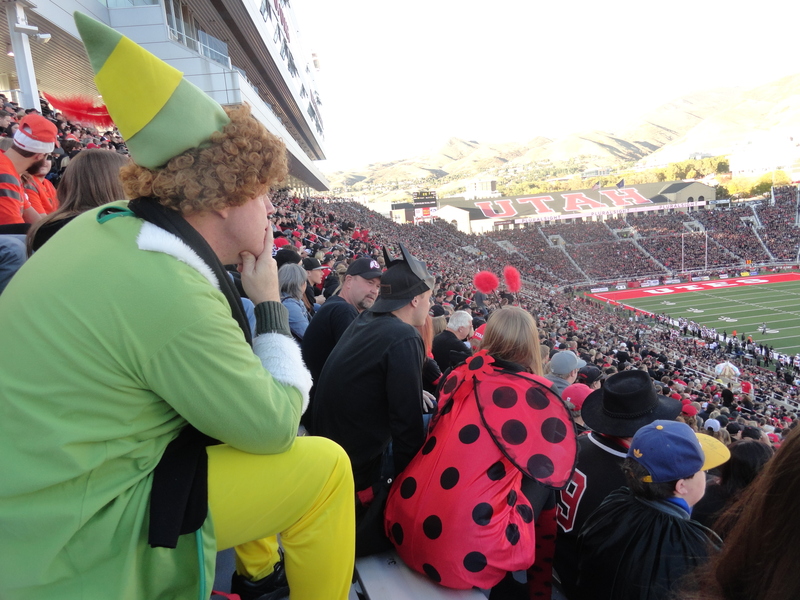 Buddy is a big supporter of the University of Utah. After all, they wear Santa’s colors. 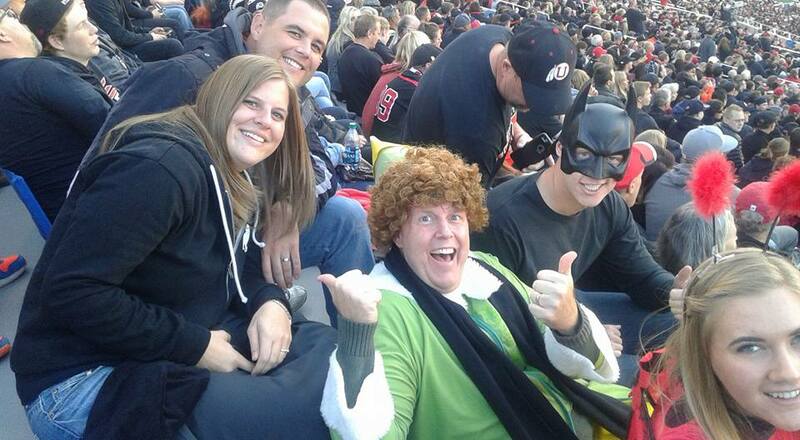 Here is Buddy with some-strangers-who-became-friends at an October 31, 2015 Utes football game. Honestly, Buddy doesn’t always know his way around town. But at least he tries! 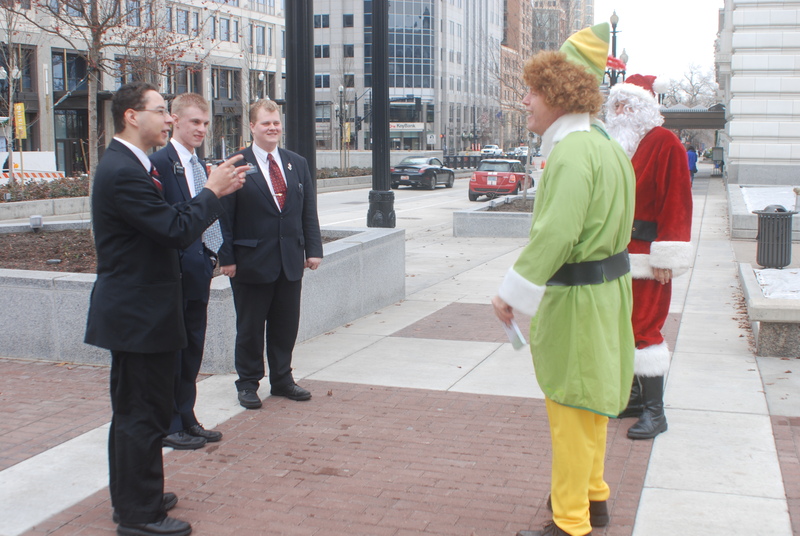 Now, let’s see if you know the three laws of the Elves? There you go! See you the next time we see you!